Contributions via credit card are accepted online. We have added another way for you to give and immediately put your contribution to work! 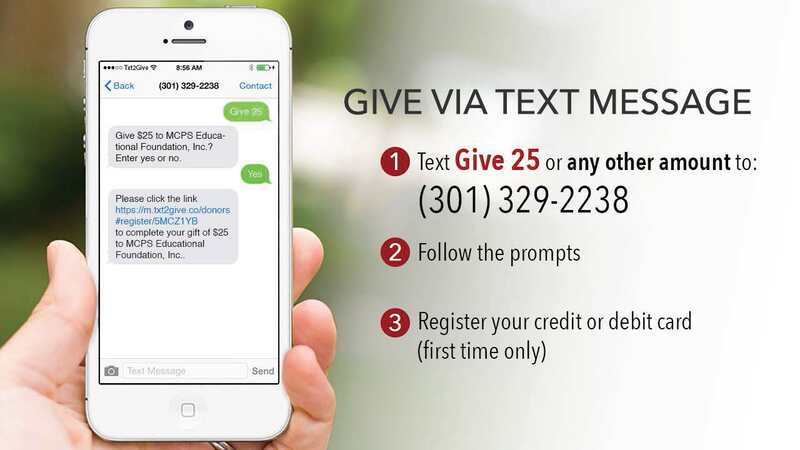 Simply text the amount of money you'd like to give to the number 301-329-2238. The first time you do, you will have to register your payment details, but after that you can make a donation in under 10 seconds! phone number 301-329-2238 and voila! The gift is made and immediately acknowledged. Other Tips: Save the number 301-329-2238 into your contacts on your phone for quick reference. Security: We use an application called "Txt2Give" to provide this simple and secure way to make mobile donations. However you choose to donate, we thank you for your interest and generosity!